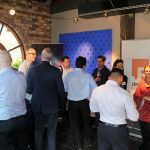 Jensen Bowers, in collaboration with Calibre Consulting and Geoimage, is pleased to invite our clients and industry peers to attend the New Frontiers in Land Analysis workshop in Brisbane. Join us to learn how advances in satellite and mapping technology are changing the way land use professionals assess development potential. Understanding land use potential is becoming more and more complex, with multiple overlays and considerations impacting what can or cannot be done with certain sites. But rapid advances in technology are making this easier and expanding our knowledge of site potential. This free workshop covers advances in digital mapping, the future of satellite imagery and land use information, and what this will mean for the development potential of sites. Mark Edwards, Geoimage: The Digital Revolution; Harnessing emerging technology for spatial analysis. What Geoimage has learnt about the latest advancements. Tony Evans, Jensen Bowers: BIM5D and emerging technologies. Time: 4.00pm – 5.00pm Presentation and Q&A, with networking drinks to follow. Location: Calibre’s office, Ground Floor, 545 Queen Street, Brisbane. 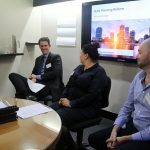 Over the past week, Jensen Bowers’ Town Planning team hosted a series of Planning Reform roundtables to inform clients and industry associates about how the new State planning regime will affect their business. 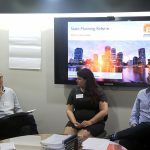 The event brought together industry leaders and professionals from key organisations in planning, architecture and engineering sectors, to collectively discuss the key changes and challenges expected after the commencement of the Planning Act 2016 (Planning Act) and associated instruments on 3 July 2017. The events saw guest speakers, Mr Rayne Nelms from Thomson Geer Lawyers, and Mr Gerard Timbs from Holding Redlich Lawyers, address the attendees providing in-depth insight and expert opinion, with Rayne articulating the view, that “whilst there are a lot of individual changes, fundamentally not a lot is changing in this new Act”. “The major positive is the increased flexibility to change applications [formerly permissible changes] in removing submitter criteria and the ability to lodge major change applications”, Rayne added. 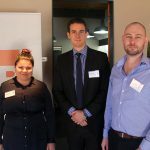 Gemma Greenhalgh, JB Planning Manager, led the roundtable discussions and welcomed the amendments to the new Act, saying “There are a lot of tweaks to the existing framework – for the most part, they are welcomed. There are a handful of traps to be aware of as well. The theory behind the changes is commended and it remains to be seen how the local governments will implement some of these”. Jensen Bowers would like to thank everyone who attended the sessions, and contributed to the overall success of the event. “We are delighted by the support and turnout from our clients and industry peers”, Gemma said. A sentiment shared by Greg Wilson, Director of Equis Group who said, “the event was very useful and informative”. Jensen Bowers’ Planning team has extensively reviewed the new legislation and are well positioned to use their detailed working knowledge and 100+ years of property development experience to best represent clients’ interests. For advice about the new Act, please call Jensen Bowers on 07 3852 1771 and speak to Gemma Greenhalgh or Emmett Herps to discuss how the regime may impact your projects. To express your interest in attending any future events about the Planning Reform, please email Jane Zewe, Marketing Coordinator, for more information.